An investor has sold large format retail centre Tuggerah Central on the New South Wales Central Coast for $10.8 million – a premium of $3.26 million from their acquisition price in 2016. 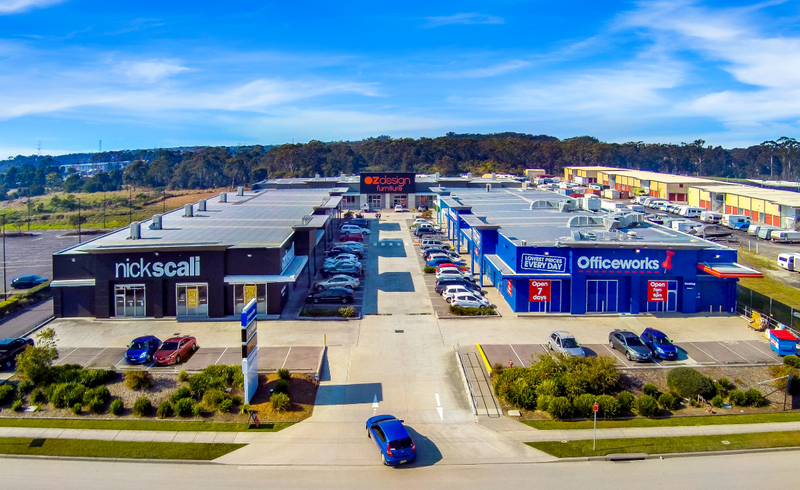 Located in fast growing Tuggerah, the complex is anchored by Officeworks and Nick Scali. Perth-based syndicator Properties & Pathways first purchased the 4,118sq m large format retail complex in June 2016 for $7.54 million. The most recent transaction represented a yield of 6.5 per cent – a record yield for the state’s regional large format retail sector. The syndicator acquired a large format retail centre in Townsville for $16 million in October last year. Properties & Pathways managing director Cal Doggett said Tuggerah Central represented a perfect positional play for the company. “We identified a small window of opportunity to activate redundant GLA in a neglected asset and engaged a proactive plan to turn the asset around,” he said. “We had a strong vision for the centre and firmly took the reins to drive this outcome with a reinvigorated signage/façade upgrade, which enabled us [to] secure the right tenant. CBRE’s Nick Willis and Justin Dowers said the sale highlighted strengthening investor interest in large format retail, with the sector transacting on average 50 to 150 basis points higher than that of core supermarket retail based investments. “Our recent campaigns have highlighted a real shift of investors who are now actively pursuing large format retail assets. Proactive managers such as Sentinel and Property & Pathways have been able to position these centres to now appeal to a risk adverse investors that see long term and value in the sector,” Justin Dowers said.